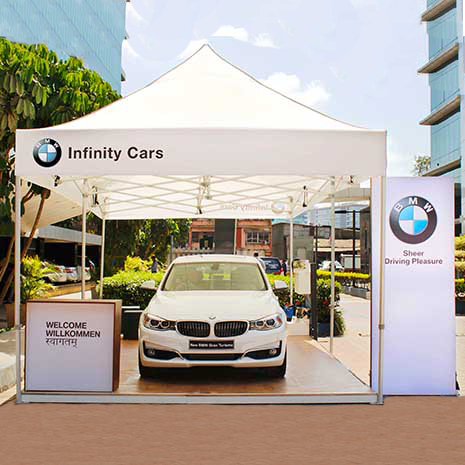 We empower brands by means of turnkey solutions for exhibition stall designs and portable displays for Events and Brand Activation. 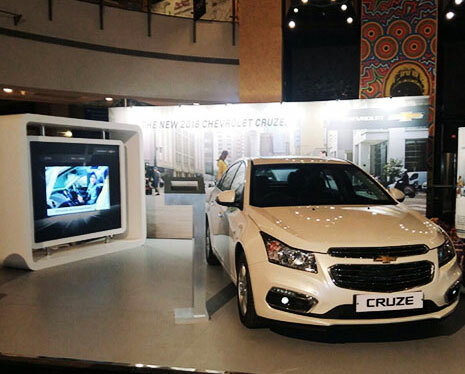 With an experience of over 10 years, we specialize in stall design for exhibition and brand activation spaces. If you have an upcoming exhibition, we can help you create concepts with our exhibition stall designers in Mumbai. Our in-house manufacturing, printing and execution team enables smooth execution to build your exhibition stall without hassles. 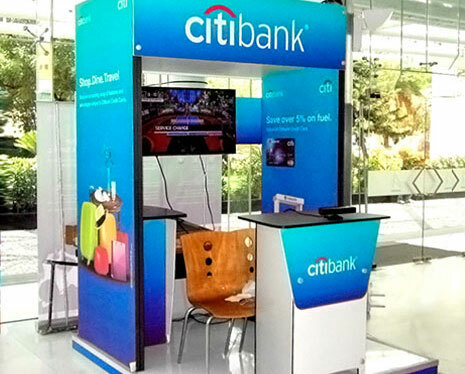 Our creative exhibition stall designs add value to your experiential marketing spaces such as Exhibitions, Tradeshows, Events, Conferences and Brand Activation. If you are looking for best exhibition stands in India then your hunt ends here. Insta Exhibitions offers an extensive range of high-quality exhibition stands for your shows in India. The alluring stand designs help you in making a massive brand impression. 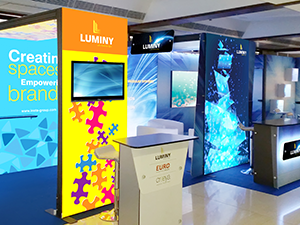 Whether you want an exhibition stand in Mumbai or Delhi, we cater to your specific brand needs by being your most reliable exhibition stand designer in India. The highly-qualified stand designers put their best foot forward in designing world-class exhibition stands for your show in India. With 3D exhibition stand design facility, we help in offering best-in-class exhibition stands in India. Our experienced project managers make sure to provide you a worthwhile and hassle-free exhibition show. Canara Lighting company, the veterans in specialized studio lighting equipment participated at PALM Expo 2015. Their key objective was to generate sales leads and maintain their brand image in the market. They reused their existing Expo Prestige kit. If you are confused on picking the best exhibition stall for your next show then Expo Prestige is your perfect pick. The most convenient and easy-to-use modular portable exhibition stall, Expo Prestige ensures to simplify your exhibition stall design & building. 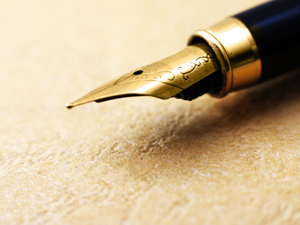 Why a Brief can make or break an Exhibition Stall Design? Your exhibition stall is your temporary office at the venue. You need to put in adequate efforts to have a good stall design. To ensure your stall building contractor delivers a unique and creative stall, it is crucial to give him a good stall design brief. Avoid the pitfalls of vague description. If you want a specific stall design, your brief needs needs to be specific as well. “Thank you so much for your diligent and ardent support as always………..
Our custom built exhibition stall designs combine the creativity of a unique space concept that is aligned to your marketing strategy with customized exhibition stall features. Our complete solutions for exhibition stalls and rich experience helps deliver the right choice of exhibition stall design at the right place, time and a competitive budget. You can be rest assured to have the best show ever. Our in-house team of exhibition stall designer in Mumbai understands specific needs of different industries and following a detailed briefing from you will create concepts to cater to your show objective. On finalizing a concept with you, we have a dedicated execution team that is allocated for the exhibition stall project. This team plans and executes the entire exhibition stall from design to bring it to reality in the pre determined time frame. In some cases, we create a scaled model of the exhibition stall to enable you to walk through and make any last minute changes. If you are looking for multiple exhibition stalls with zero wastage, you may choose the portable and modular exhibition stalls from Insta. Here we have a range of high quality and reliable pre engineered systems to cater to your specific requirements to the fullest. Our team of exhibition stall designers in Mumbai is trained and especially skilled to use the modular systems and build exhibition stalls that have a customized look and feel but a standardized structure as the backbone. This enables you to reuse the same structure for multiple exhibition stalls by reconfiguring them for different exhibition spaces, thereby reducing your overall expenses per show. Once a stall design for exhibition is made based on a detailed brief from you, a pre show built up is done at our works before printing the graphics. This enables you to walk through the exhibition stall and tweak the design wherever necessary and possible. 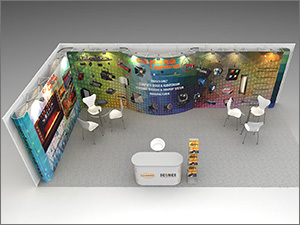 Once the design is finalized and graphics are printed, the entire exhibition stall is packed in dedicated cases and dispatched to the exhibition ground. Our team of trained experts can build the exhibition stall for you and hand it over at the eve of the show. Is the world your playground for marketing? If you are participating in a show outside India, we can provide complete solutions for your overseas exhibition stall. Insta-Group is proud to have a network of trusted audited exhibition stall building partners across 40 countries. So we can create an exhibition stall design for your space in an exhibition anywhere in the world and get it built by our worldwide network. This makes the entire process of exhibition stall hassle free for you and keeps the costs in control. If you already have a design for an international show, we can still provide execution service for your exhibition stall design across the globe. What’s more! 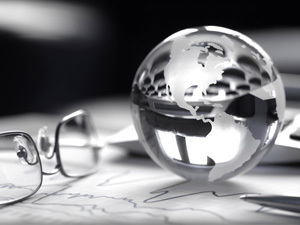 Insta- Group has fully owned subsidiaries in Middle East, Western Europe and North America. This helps provide local support and knowledge including warehousing of portable exhibition stall kits wherever deemed fit for multiple shows across geographies. With a dedicated and full-time exhibition stall designer’s team, Insta strives its best to offer innovative ideas for exhibition stalls. These experienced and highly skilled designers put their best foot forward and craft best exhibition stall designs unique to your brand. The distinct brand concepts are meticulously converted into creative stall design ideas that help your exhibition stall to become the showstopper. Whether you are looking for a custom exhibition stall design or modular, we can offer you the best-in-class exhibition stall design ideas. At Insta, you can be rest assured that your brand’s USP is creatively modified into exhibition stalls ideas thereby helping your brand emerge from your competition. By carefully understanding your brand needs, the designers at Insta adhere to specific show requirements and get the most innovative ideas for exhibition stalls. Does Insta Exhibitions have a private design studio with designers who can help me and advise me in making exhibition designs for my Exhibition Stall? Yes, we have our own studio with designers that you can seek advice from. Our services range from advice on exhibition stall design and free 3D designs through the entire process we guide you correctly, and hold your hand till your exhibition stall is built. It is also possible for us to create the exhibition stall design for your exhibition. Based on your briefing, and requirements, we shall make a 3D exhibition stall presentation for you. This forms the basis of further refinements and adjustments on the way to your modular or customized exhibition stall. We ensure, through our exhibition stall designs, that your desired message is conveyed loud and clear in a contemporary, original way. Every concept, design and delivery with us is unique. Everything is perfectly planned and because we have all the facilities in house, it helps us to work efficiently, swiftly and precisely. 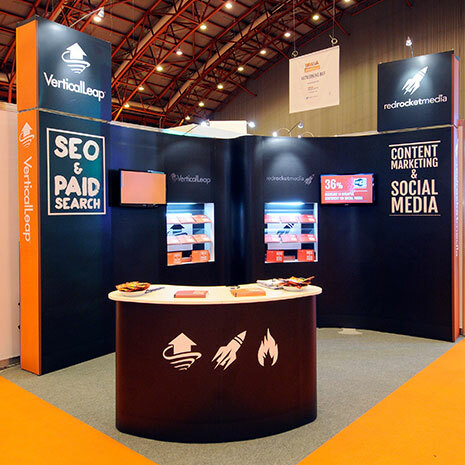 What should I look for when making my exhibition stall design or modular exhibition stall? What are the objectives of exhibition stall design? The goal of your presentation or participation in an exhibition should translate into the layout and design of the exhibition stall. If your objective is to meet potential customers and convert them into clients then you must highlight your company/products USPs clearly. A great stall design helps to set you apart from the competition. An exhibition stall must be conspicuous and clutter free. An exhibition stall should carry the company’s core message clearly. An exhibition stall must be attainable, remember build up time in exhibitions are fixed. An exhibition stalls, interiors, product display and signage must be in harmony. An exhibition stalls Position is crucial so that it stands apart from a distance. Dedicated storage space for promotional material, food etc. is essential in your exhibition stall. Factor in the constraints related to the stall design and construction. Does Insta Exhibitions have an image bank with pictures that I can use to design my exhibition stall, exhibition booth or presentation wall? Yes, we have a large image bank with thousands of photos and illustrations. It can be searched by topic. Ideal if you do not have a good photo or illustration for your exhibition stall, exhibition booth or presentation wall. Colossal offer: choose from millions of photos from all over the world. Technically, it is often of high quality and resolution. Numerous search options: key words, theme, color, etc. Relatively low cost per photo, compared to a private photo shoot. Direct result: the photos are ready to use thus saving time and resources. By accessing photo banks you save a lot of time, effort and cut out the cost and effort of a photo shoot. Stock photos are pictures that we buy the rights of on behalf of our clients. For more information please contact Insta Exhibitions. Note: Using copyrighted pictures from the Internet is illegal! Can you do the design and layout of my exhibition stall or exhibition booths? We will be more than happy to design your exhibition stalls and booths. We need a brief from your end with your wish list for the exhibition stall. Based on your brief, our designers will create a 3D stall design presentation for you. This will form the base of your booth design, following adjustments and refining the design as per your needs, the next step will be converting the design into your modular or customized exhibition stall. To create a stall design and convert it into a fabulous exhibition stall please contact Insta Exhibitions. What is the turnaround time between finalizing a stall design and producing and erecting an exhibition stall or presentation wall? It’s difficult to say, as each customized stall design and exhibition stall is unique, depending on all factors such as kind of design and material used in the exhibition stall, an average of 10 days is the minimum timeframe for execution and delivery. It is always wise to contact your advisor from Insta Exhibitions; they will plan and schedule your project to ensure that your deadline is met all the time, every time. Can Insta Exhibitions create a 3D exhibition stall design presentation of my exhibition stall, modular stall or presentation wall before finalizing my order? What will this effort cost me? Ace 3D stall designers at Insta Exhibitions using the latest software will readily create a 3D presentation for your exhibition stall, and the best thing is this service is provided absolutely free to our clients. Our Business Development team will meet you and take a detailed brief about your upcoming exhibition. They will discuss and understand all your requirement and goals for participating in a particular exhibition. Based on this detailed interaction our stall designing team shall design your exhibition stall and give you a 3D presentation of the exhibition stall. Our team will walk you through the entire digital exhibition stall, once you approve the design and the various elements in it including graphics, our exhibition stall builder will commence production, thus ensuring a perfect end product. If I already have a printed banner display, exhibition wall, presentation system or exhibitions stall. Can I order a reprint of a new design? The panels and graphics of an exhibition booth or exhibition stalls wall design are also available separately printed based on a new design. This helps you to quickly change the look of your exhibition stall and assures flexibility. Do you have a new corporate identity or a new marketing campaign? You do not have to replace your entire exhibition system; only the fabric or graphic panel needs to be changed. These costs almost half compared to an absolutely new wall /system. Please contact Insta Exhibitions for more exciting and cost saving solutions. What is the normal delivery time for my Modular exhibition booth? Insta Exhibitions maintains a ready stock of all its modular exhibition booth kits. The delivery schedule depends on the size and number of graphics to be used. The minimum time required, to deliver a modular exhibition booth kit is ten days after the booth design is approved and order placed. It is always advisable to contact the client service team at Insta Exhibitions, for an accurate delivery schedule. Can I get a free presentation and advice on exhibition booth products most suitable for me? Insta Exhibitions will be more than happy to give you a detailed presentation of the exhibition booth kits and also guide you in making the right choice while purchasing a modular exhibition booth kit most suitable for your purpose. For a free presentation, please contact Insta Exhibitions. Can I and my colleagues get training on how to erect and dismantle our modular exhibition booth? Insta Exhibitions provides free training to all its clients on the erection, dismantling and maintenance of the modular exhibition booth kits. We also advise you on how to use the modular exhibition booth kits optimally to your advantage. For a free training session, please contact Insta Exhibitions. Where is the modular exhibition booth kits manufactured? Insta Exhibitions manufactures all its modular exhibition booths at its in-house manufacturing facilities in India, Germany and USA. Insta Exhibitions has three manufacturing factories in India and one each in Europe and USA. For more information on our manufacturing capabilities, please contact Insta Exhibitions. What are Custom Exhibition stalls or Custom Exhibition Booth? Custom Exhibition stalls or custom exhibition booths are tailor made exhibition booths, built to specific needs of the exhibitor. These are often preferred for large exhibition booth areas by MNC’s and major corporate who are not bound by exhibition budget constraints. What is a Shell Scheme Exhibition booth? Shell scheme exhibition booths are least expensive. They typically consist of exhibition booth area with essential but very basic elements such as partition walls and a single fascia. A row of such identical exhibition booths are pre-built and sold as a shell scheme package. It is up to the exhibitor if he wants to add design elements like his company graphics and display equipments.